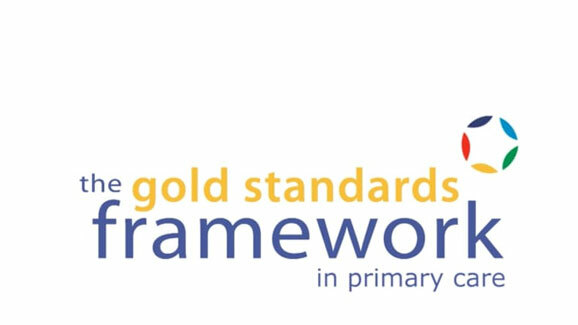 Gold Standards Framework (GSF) in primary care was developed originally back in 1998, to enable GPs and Primary Care Teams to provide top quality care for all people in their final year of life, with any condition, in any setting, at any time. 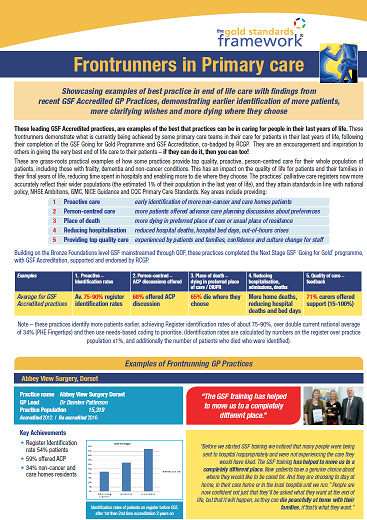 GSF ‘bronze’ level principles were integrated within primary care throughout the UK from 2000, supported by the Department of Health, Royal College of GPs, NICE guidance, Care Quality Commission and others and mainstreamed from 2004 as part of the original GP Contract Quality Outcomes Framework QOF. Now 95% GP practices have GSF/ supportive care registers and regular meetings to discuss these patients, with increasing numbers of identified patients on the register- now almost 40%. Now further progress has been made in using these principles and pillars of GSF within the NHS Long Term Plan and QOF to promote more proactive person-centred systematic care. But how can GSF help further through bronze, silver and gold offers of support? See short video below. 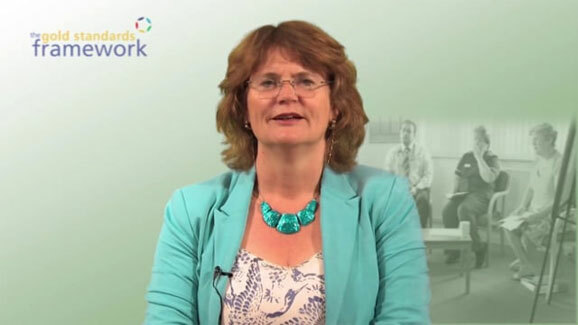 Why improve end of life care – and how GSF can help? The UK is the only country in the world to do this and use of GSF has helped many thousands of staff and many millions of patients receive better care. It’s a great start……….but there’s more to do…. 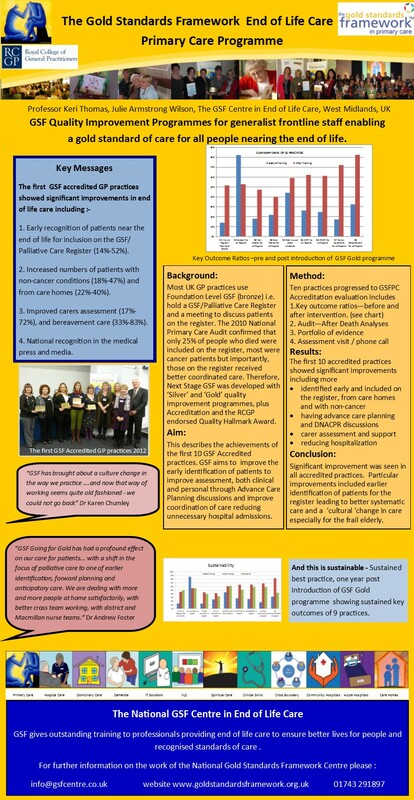 Now in 2019, with the launch of 2 new national policy initiatives in England, the NHSE Long Term Plan and the 2019 QOF GP Contract in End of Life care, more GP practices are being encouraged to continue to improve end of life care, to provide more proactive person-centred coordinated care, with more people; identified to be in their last year of life, more offered advance care planning discussions and more enabled to live well and die well in the place and manner of their choosing. For details see our Policy document What next in 2019? And we at GSF can help you do this with our Bronze Silver and Gold Support for GP practices and Primary care Networks. 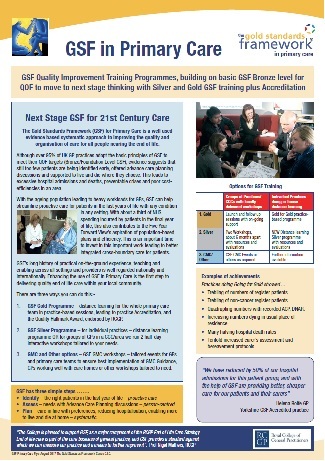 The benefits of using the new GSF Support Offers are that they builds on your current GSF usage, GSF is tried and tested for over 15 years, GSF helps the ‘HOW' to do it, as well as ‘WHAT’ to do , GSF Gold is endorsed and co-badged by RCGP and frontrunning practices find it invaluable to kick-start change and it can complement other local or national initiatives. 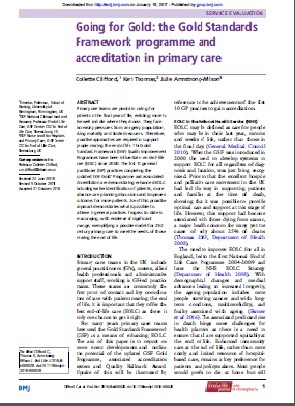 So what do GPs and RCGP say about GSF? Several GSF accredited practices, care homes and hospitals have received outstanding CQC reports. What GSF measures and improves? Better coordination, more living and dying at home - reducing crises and hospital deaths.